NEWA’s IPM Weather Apps will be featured in a webinar, Wednesday, May 18 at 10:30 am! 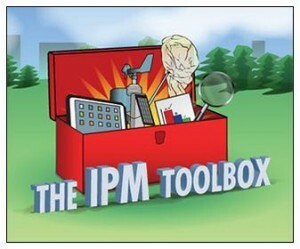 The IPM Toolbox is the Northeastern IPM Center’s new spring webinar series. For more details and links to join the webinars, visit: http://neipmc.org/go/ipmtoolbox. Watch the IPM Weather Apps webinar to learn how to use NEWA’s pest forecast models, access degree days, plus lots more on NEWA and IPM. Tune in on May 18. Juliet Carroll from the NYS IPM Program and Leader of NEWA will discuss NEWA’s IPM Weather Apps with Jana Hexter of the Northeastern IPM Center on Wednesday, May 18 at 10:30 am. Carol Glenister of IPM Laboratories, Inc., will discuss Biocontrols on Tuesday, May 10 at 10:30 am. Juliet Carroll from the NYS IPM Program will talk about IPM Weather Apps on Wednesday, May 18 at 10:30 am. Got an IPM question? Need to know the latest IPM information? The Northeastern IPM Center http://www.NortheastIPM.org has got the answers in The IPM Toolbox. Experts will join in online for an hour of dialogue about an effective IPM practice, method, or effort. Stay in touch with them, contact the Northeastern IPM Center at northeastipm@cornell.edu. The Northeastern IPM Center fosters the development and adoption of IPM, a science-based approach to managing pests in ways that generate economic, environmental, and human health benefits. To join their mailing list, please send a request via e-mail to NortheastIPM@cornell.edu. This entry was posted in news on May 5, 2016 by jec3@cornell.edu.